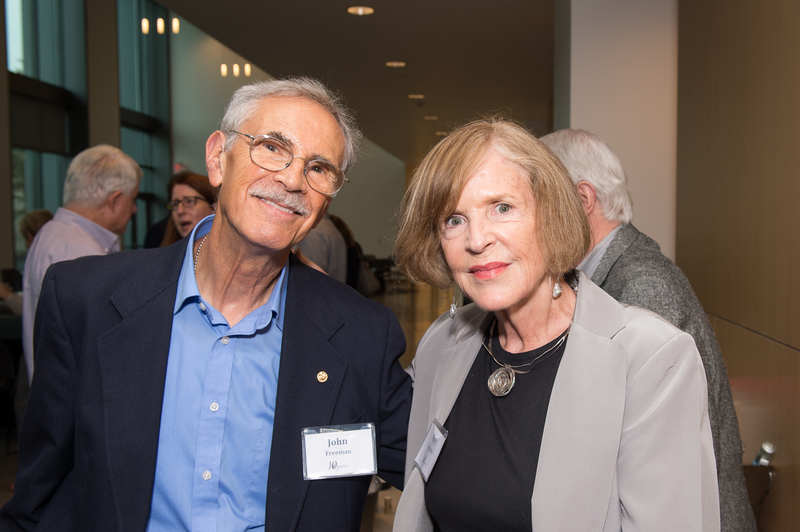 The Glasscock School of Continuing Studies’ Master of Liberal Studies Program (MLS) celebrated 10 years of changing lives with an anniversary event on Friday, September 11. Nearly 100 current students, faculty and alumni gathered in the Dean’s Commons of the Anderson-Clarke Center to connect with one another and reflect on the program’s milestone. Now in its tenth year, the part-time liberal arts degree has grown to appeal to a wide spectrum of students, with doctors, attorneys, homemakers and recent college graduates among its participants. The MLS program provides interactive classes led by Rice faculty that encourage learning new ideas and participating in lively discussion. Students and alumni regularly carry the conversation beyond the classroom, which contributes to the vibrant community of learners at Rice. Be sure to check out our 10th anniversary video below and read more at Rice News. To begin your own journey of discovery through the MLS program, apply for winter admission by Friday, October 23. This entry was posted in Master of Liberal Studies and tagged mls, video. Bookmark the permalink.